Richard (Rick) Marvin Hansen, CC, OBC, Paralympian, wheelchair racer, humanitarian (born 26 August 1957 in Port Alberni, British Columbia). In the 1980s, Rick Hansen won six Paralympic medals and three world championships in wheelchair racing. 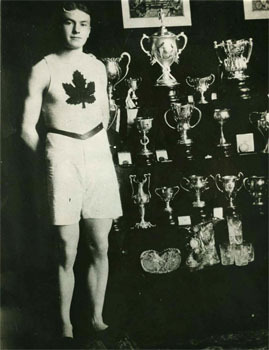 He was named Canada’s Disabled Athlete of the Year three times and, in 1983, received the Lou Marsh Trophy for Canadian Outstanding Athlete of the Year — an honour he shared with Wayne Gretzky. Hansen is perhaps best known for his Man In Motion World Tour. From 21 March 1985 to 22 May 1987, Hansen wheeled more than 40,000 kilometres in 34 countries to raise awareness, public support and finances for spinal cord research, rehabilitation and wheelchair sports. The tour raised more than $26 million. Rob Boyd, alpine skier (b at Vernon, BC 15 Feb 1966). A skier from age 3, he began competing at 11, and entered both national (Fleischmann Cup) and international (Nor-Am) competition at 14. Robert Bédard, TENNIS player (b at Saint-Hyacinthe, Que 13 Sep 1931). When he was about fifteen, Robert Bédard ventured onto a tennis court for the first time, without having any idea that he would become one of the best tennis players in Canada. Robert Daniel Emslie, baseball player (b at Guelph, Canada W 27 Jan 1859; d at St Thomas, Ont 26 Apr 1943). Emslie played baseball in Ontario and Kansas before a brief major-league pitching career in which he won 32 games for Baltimore in 1884. Robert Rousseau, hockey player, professional golfer (b at Montréal 26 Jul 1940). When the Rousseau family settled in Saint-Hyacinthe (Québec) in 1942, Robert was two years old. Throughout his childhood he was especially fond of ice HOCKEY, his older brothers serving as role models. Roberto Velazquez Alomar, Toronto Blue Jays baseball player 1990-95 (born at Ponce, Puerto Rico 5 Feb 1968). Roberto Alomar grew up in Salinas, Puerto Rico, the son of major league player Sandy Alomar and brother of major league all-star catcher Santos "Sandy" Alomar Jr.
Ron Stewart, football player (b at Toronto 25 Sept 1934). The diminutive running back starred for the Ottawa Rough Riders for 13 seasons (1958-70). He recorded his best season in 1960, rushing for 1020 yards on 139 carries (including a CFL record 287 yards in one game) and scoring 15 touchdowns. 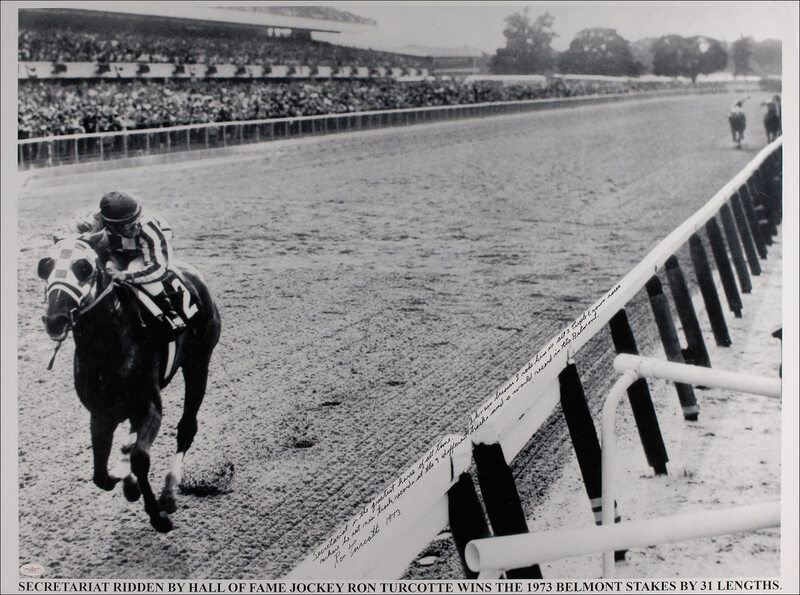 Ron Turcotte, jockey (b at Drummond, NB 22 July 1941). One of 11 children, Turcotte was always a strong jockey because of his early years as a lumberjack in New Brunswick. Unemployment in 1959 sent him to Toronto where he obtained a job as a hot-walker at E.P. TAYLOR's Windfields Farms. Ronald Charles Northcott, curler (born at Innisfail, Alta 31 Dec 1935). Northcott began curling in Vulcan, Alberta, in 1950 and was vice-skip on the 1953 Alberta High School champions. He joined the Calgary Curling Club in 1958, and between 1961 and 1978 competed in 9 Alberta championships. Ronald Lancaster, football player, coach (b at Fairchance, Pa 14 Oct 1938; d at Hamilton, Ont 18 September 2008). 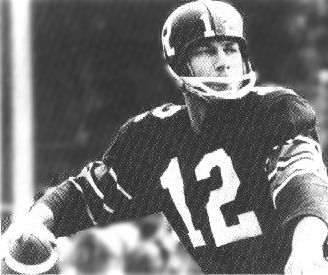 He quarterbacked the OTTAWA ROUGH RIDERS from 1960 with Russ JACKSON and was later traded to Saskatchewan (1963-78). Roseline Filion, diver (born 3 July 1987 in Laval, QC). Three-time Olympian Roseline Filion and partner Meaghan Benfeito won bronze in the 10m synchronized dive at the Olympic Summer Games in 2012 and 2016. A Pan American Games and Commonwealth Games champion, Filion has won medals in both synchro and individual competitions on the FINA Diving Grand Prix circuit and at the FINA Diving World Series, World Cup and World Championships. She has also won multiple Senior National Championships. Filion retired from competition in January 2017. Ross Rebagliati, snowboarder, businessman (born 14 July 1971 in Vancouver, BC). 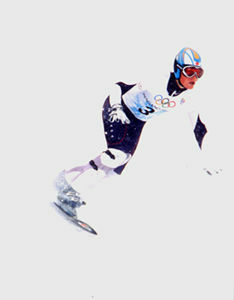 Rebagliati won the first ever Olympic gold medal in snowboarding at the 1998 Olympic Winter Games in Nagano. However, soon after his victory, the International Olympic Committee announced that he had tested positive for marijuana and would be stripped of his medal. Within a week, the decision had been overturned by the Court of Arbitration in Sport and his medal reinstated. In 2013, Rebagliati founded Ross’ Gold, a medical marijuana business. The company promotes the medical and recreational use of marijuana for athletes. Canadian snowboarder Ross REBAGLIATI hit the big time at the 1998 Winter OLYMPICS in Nagano, where he won gold and then had his medal taken away after testing positive for marijuana. There is nothing to suggest rebellion in Greg Rusedski's polite how-ya-doin' manner; no hint of prima donna behavior from an athlete whose sport has bequeathed the world so many brats. A poised passer, strong runner and capable leader, Jackson finished his 12-year career with 1341 completed passes (53%) for 23 341 yards and 184 touchdowns; he also rushed for 5045 yards while scoring 55 touchdowns and 330 points. In his last season, 1969, he led Ottawa to a Grey Cup championship. Russell Nathan Jeanson Coltrane Martin, Jr., baseball player (born 15 February 1983 in East York [Toronto], ON). 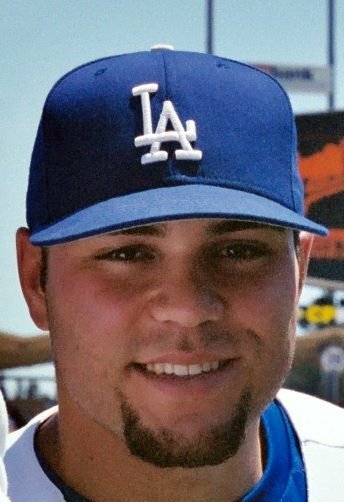 Russell Martin made his Major League Baseball (MLB) debut as a catcher in 2006. He played five seasons with the Los Angeles Dodgers, two with the New York Yankees and two with the Pittsburgh Pirates before signing a five-year, $82 million contract with the Toronto Blue Jays on 18 November 2014. Known for his intensity, athleticism and intelligence, Martin is regarded as one of the best defensive catchers in the majors. A four-time All-Star, he won the Rawlings Gold Glove Award and the Silver Slugger Award in 2007 — only the third catcher in history to receive both awards.